Decorate a Christmas tree with the hottest characters around … those characters from Disney’s hit animated movie,: Princess Anna, her sister Princess Elsa, Kristoff the outdoorsman, Olaf, Sven the reindeer and Hans the handsome royal. Instead of decorating the tree in typical fashion – add some character and give it a theme … a Frozen theme. To decorate the Disney Frozen Christmas tree, begin by adding blue lights around the tree. Then, wrap the white tulle around the tree followed by the sheer snowflake ribbon. Add the silver and blue ornaments, placing the smaller ornaments near the top of the tree. For the tree topper, add an Olaf the Snowman pillow character (available here) securing it with fishing line. 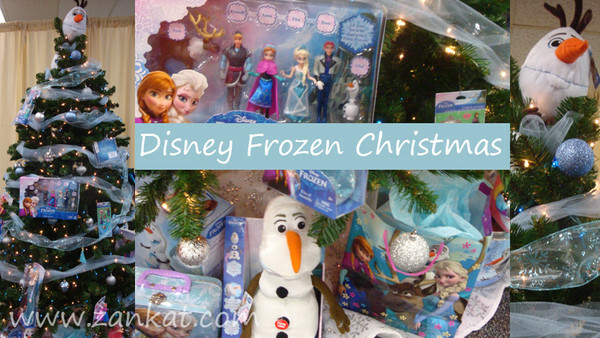 For extra décor, add smaller Disney Frozen toys throughout the tree. 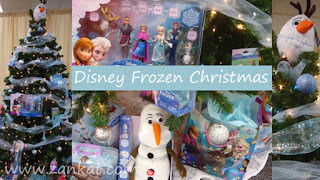 On Christmas Eve, Santa will complete the tree with many Frozen themed toys under the tree. Dress in the tank top, tights and shorts. Pull the tutu skirt on over the shorts. Place the shower cap on your head and carry a towel to “dry off”. As a trick or treat box, one can carry a large size spa basket. Who doesn’t love a great peanut butter and jelly sandwich? One person will dress as the peanut butter side of the bread, the other with the jelly. Each piece is a fun foam tunic. Get two costumes for one low price on Amazon.com with this great PB&J set. A humorous costume idea for a couple is an electric outlet and plug costume available online here. Preferably, the fella would wear the plug while the gal wears the socket. This costume set comes with 2 separate tunics packed together. Size doesn’t matter as one size fits most. A more technological advanced costume idea is a USB port and corresponding USB stick. This fun and unique costume idea is a perfect couples costume to insert yourself into this Halloween! With this costume, one will receive two separate tunics packed together. 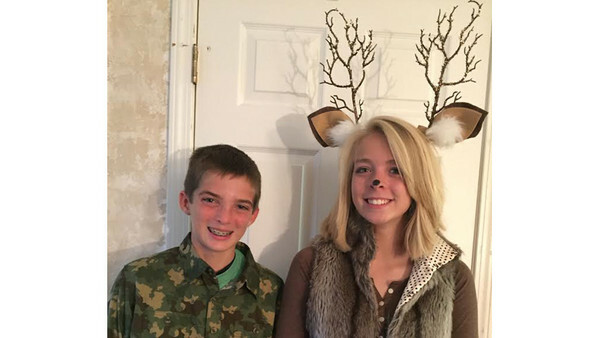 An adorably cute couples costume for adult and children alike include one dressing as a deer and the other, a hunter. See how to create this costume on a budget here. Sophisticated couples will enjoy the wine and cheese Halloween costume idea available on Amazon.com. Get two fun costumes for the price of one when ordering wine and cheese couples costume: 1 foam wine bottle shaped, foam tunic and 1 cheese wedge shaped foam tunic with fake oversized knife. Another food themed costume idea for any pair is bacon and eggs. This classic breakfast combo makes a great couples set. For less mess, one can carve the pumpkin outside. If carving inside, lay down old newspaper or garbage bags to catch the mess. Then, carefully cut open the pumpkin by carving out the stem. My children and I have always cut a zig zag pattern round the stem so it’s easy to tell how the lid fits into place. Then, clean out the pumpkin using a spoon or your hands. If desired, separate the pumpkin seeds from the “goop” to cook later..
1. Tape the entire piece of paper with the cat face on to the pumpkin. 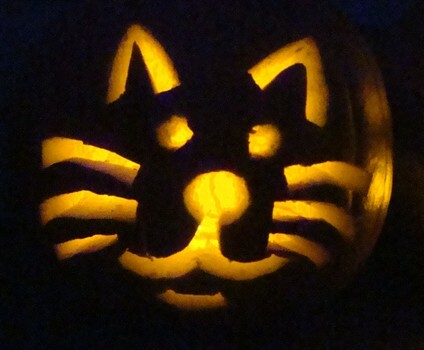 At dusk, light a tea light in the pumpkin to see the cat face glow. To create the Olaf jack o’ lantern: Pick out 3 pumpkins (2 rectangular shaped and 1 round). Many grocers offer deals on pumpkins during the Fall. For example, I purchased 3 good size pumpkins for $10 at Kroger. Carefully cut open each pumpkin and clean out the inside. If desired, set the pumpkin seeds aside for baking. Using the circular peanut butter jar lid, trace 2 circles on one of the larger pumpkins. Trace one circular shape onto the round pumpkin. With carving tools, or a small sharp knife, carefully cut out the circles. Tape the Olaf face template onto the last oval shaped pumpkin. Using a pumpkin carving poker, trace the design on to the pumpkin by poking holes along the pattern. Then, starting from the inside design of the face, carefully cut out the black shaped patterns of the template, creating Olaf’s face. On the bottom pumpkin (with 2 holes), cut a large opening at the top of the pumpkin so the smaller round pumpkin fits snug on top. On the round pumpkin, cut a fairly good size hole at the top so the last large pumpkin sits securely on top. 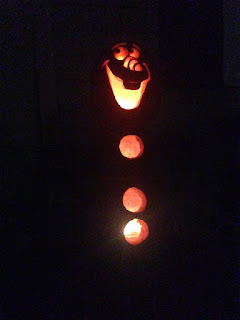 If the holes are big enough and cut properly, Olaf should stand on his own with the pumpkins stacked. Locate two twigs for Olaf’s arm and 3 smaller twigs for his hair. To add the twigs to Olaf, use the poker carving tool to poke holes and place the twigs inside. If desired, create a small sign with “I love warm hugs – Olaf” on it is obvious the creation is Olaf and not just any snowman. After dark, light tea lights (or purchase battery-operated tea lights) to see Olaf glow! Ugly Christmas Sweaters are all the rage this holiday season. 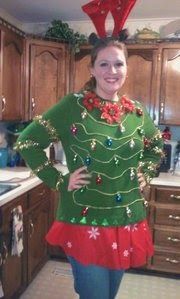 Ugly Christmas sweater contests are often held at office parties, school functions, parades, family gatherings and other holiday events. Sure, one can purchase an ugly Xmas sweater at a retail store or online via Amazon, but creating a gawdy Christmas sweater is much more fun! One can start with a solid plain canvas (red, white or green sweatshirt / sweater). Or, one can begin with a patterned Christmas shirt and simply add decorations to make the sweater even uglier. To save money on apparel, check your own closets or secondhand stores for pre-owned clothing. 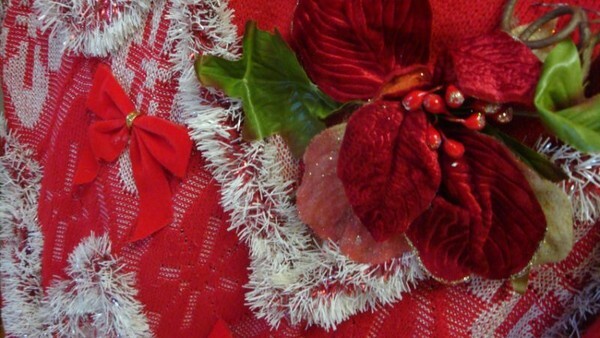 Decorating ugly sweaters can be a fun family activity any time of the year, but especially during the Thanksgiving holiday! Gather extra Christmas decorations and allow the children to design the ugly clothing by positioning the decorations on the clothing. For safety, parents should use the hot glue gun or carefully supervise older children using hot glue. Once the gawdy sweaters are crafted, wear them shopping on Black Friday, to the office or on Christmas Eve / Day. Ladies, style your hair with a Reindeer Sock Bun and add a tulle skirt in Christmas colors to complete the outfit. Guys, try adding a Christmas tie to complete the ugly look! Start with a basic sock bun using your sock or a hair donut. 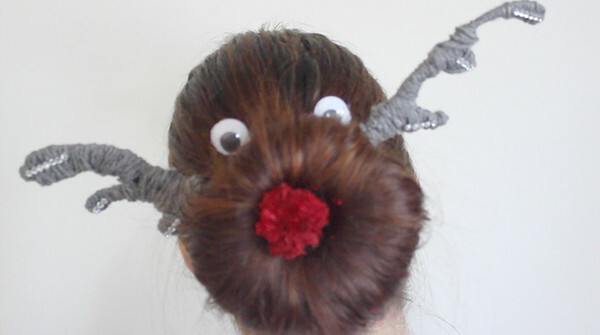 Then, glue the googly eyes on to two bobby pins. Cut and twist the pipe cleaners to resemble reindeer antlers. Insert the crafted antlers into the top of the bun. Finally, glue the red pom pom ball onto a bobby pin and push this bobby pin into the center of the bun. - Charlie Brown. Simply dress the baby in jeans, yellow shirt with a zig zag across the front and then draw a squiggly on his forehead. Add a stuffed plush Snoopy animal. - Chicken. A feathered chicken costume will be something to crow about. Simply add a feather boa (or two) to a white sweatshirt and a knit cap. - Olaf the Snowman. 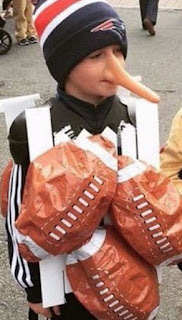 Build your own snowman from the hit Disney movie, Frozen by following the instructions available in How to Make an Olaf the Snowman Halloween Costume. 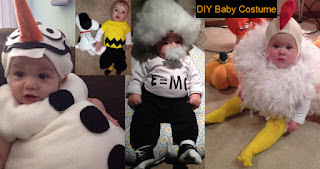 For parents blessed with multiples, visit the Halloween Costume Ideas for Groups of Children for even more homemade Halloween costume ideas. 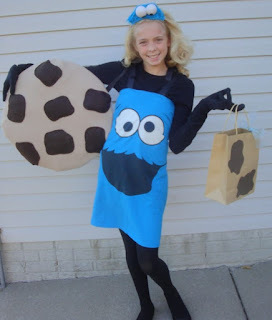 To create the Cookie Monster costume, dress in black tights, black shirt, black gloves and black shoes. Add a Cookie Monster headband. Then, wrap the character t-shirt under the arms, tucking the sleeves and collar in. Pin the “shirt” discretely in the back to hold it in place. To make the shirt more secure, one can pin or hot glue fleece straps on each side of the shirt and then tie these straps together. To make the big cookie accessory, cut a large piece of foam board into a circle. Wrap the tan fleece around the large foam circle, stuff with polyfill. Then, pin or hot glue the fleece material closed. Cut oddly unique circles from the dark brown fleece and hot glue these circles to the tan circular foam cookie. To make the trick or treat bag, cut oddly shaped circles from the dark brown paper. Then, hot glue these circles to a paper bag. Another variation of this popular Sesame Street Halloween Costume can be found at How to make a no sew Cookie Monster Halloween costume. 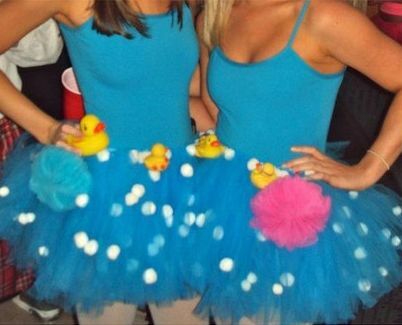 Add a tulle skirt to the costume by following these instructions. 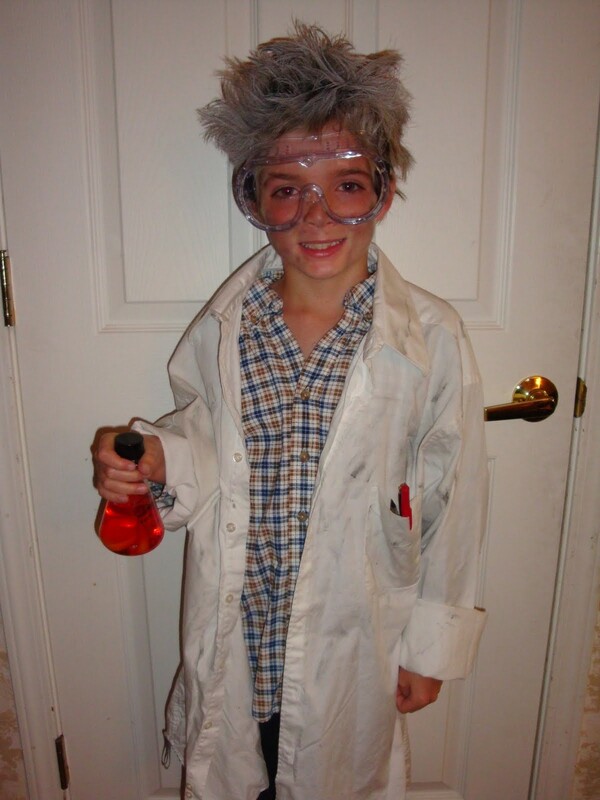 costumes, mad scientists and ebola healthcare workers were extremely popular last year. 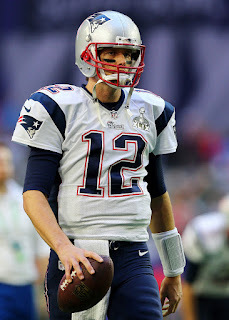 Dress in New England Patriots uniform. Gather the inflatable toy footballs (or purchase online) and tie to the jersey with fishing line. Then, select which type of hat: football helmet, football party hat and / or the Tom Brady face mask. 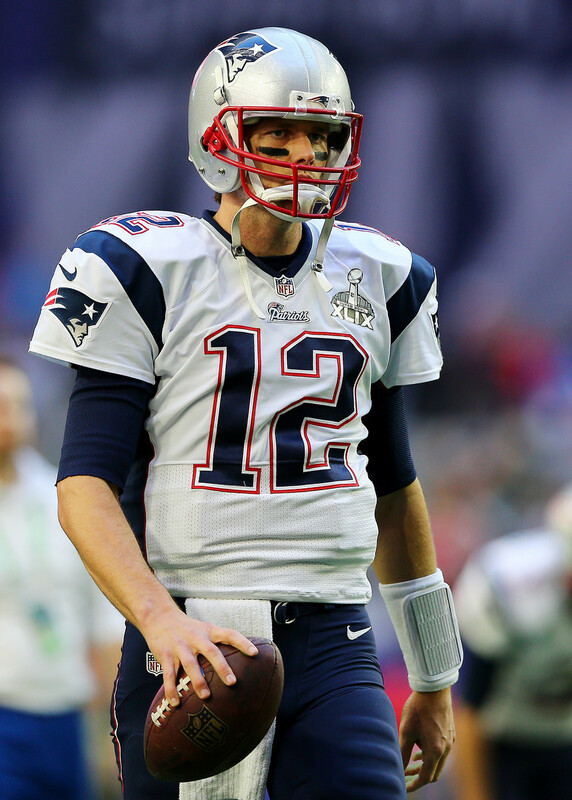 As an accessory, one can carry a cell phone to reflect Tom Brady's cell phone which was key in the investigation. 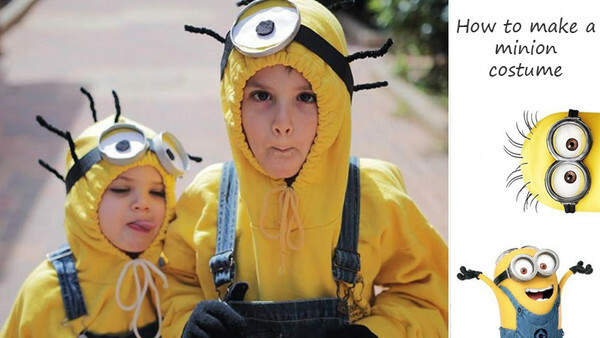 Popular costumes for Halloween or school character day include those pesky creatures from the hit movie,Despicable Me, the Minions. Minions are impulsive creatures with little self-control, but with a wide-eyed wonder and odd innocence that endears them to viewers and makes them irresistible. Create your own homemade minion costume and save a little cash. Check your own closet for materials or shop your local thrift store for even more savings! To create the minion hair, try to push the pipe cleaners through the seam of the hood, if not, cut a tiny hole in the hoodie and push several pieces of thick black pipe cleaners through it. Hot glue the ends of the pipe cleaners to the inside of the hood to keep them “hair” standing on end and in place. Minion goggles are available here. For those crafty folks, the glasses can be made at home. To begin, find two silver colored jar lids (pickle jars work well). Using the outside of the lid, trace a circle on the white foam. Then, cut just inside the circle to make sure this piece fits inside of the jar lid. Hot glue the white foam circle to the inside of the jar lid. Create the black inner circle of the eye by tracing and cutting out a smaller circle (ketchup bottle lid). Hot glue the black circle on to the center of the jar lid. Measure the head with elastic to make sure it fits, then cut to size and attached to jar lid. Dress in the yellow hoodie, bib overalls, stretch gloves and slip on the minion glasses. To make the Mickey Mouse ears, start with a plastic black headband. Then, trace the end of the soup can on to the black felt. Fold the felt just beneath the traced circle leaving about half an inch of felt to slip the head band in. 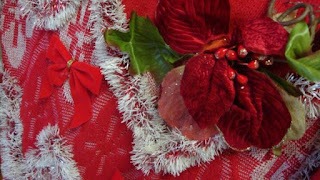 Fold the two circles over the headband and glue in place with hot glue. Repeat this step for the second ear. Using the same soup can, or one slightly smaller, trace two circles on to the white felt. Cut out the white circles and hot glue them to the front of the waistband on the red shorts. To make Mickey’s tail, cut approximately a 6” strips of 3’ long felt or fleece material. Roll the material and hot glue the roll. Stuff one end of the roll with polyfil (or newspaper) and then hot glue each end shut. 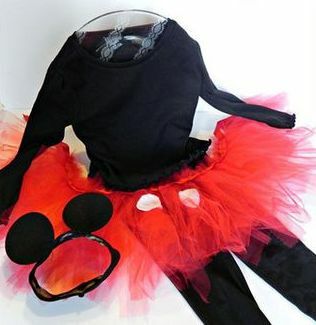 Dress in the long sleeve black shirt, black pants / leggings, red shorts. Pin the mouse tail to the back of the shorts. Ladies, create a tulle skirt to add a girly look. Visit How to Make a Tulle Skirt for details. Wear yellow shoes or footies and white gloves or mittens. Place mouse ear headband on head. 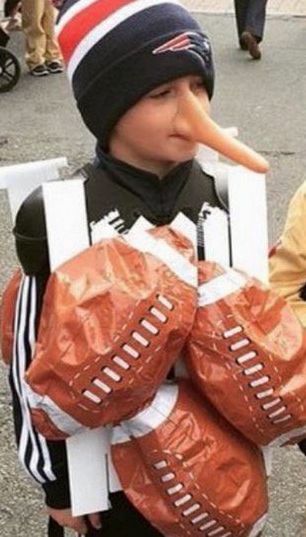 Using black face paint, paint a black circle on the tip of nose. If desired, paint black whiskers across your cheeks. 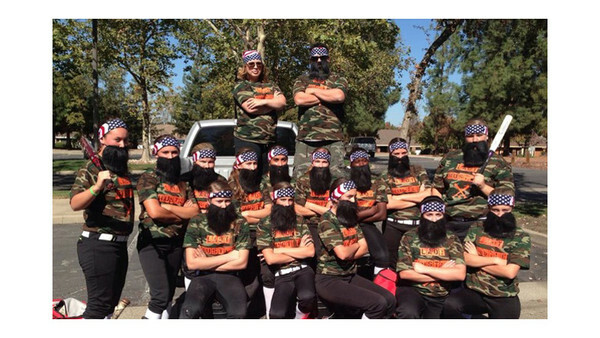 One of the most popular Halloween costumes this year will be the Robertson family clan from the hit television series,Duck Dynasty. Duck Dynasty is an American reality television series on A&E that portrays the lives of the Robertson family, who became wealthy from their family-operated business, Duck Commander. Less crafty folks can shop their own closet for camouflage pants, shirt and boots or purchase the inexpensive complete costume online at Amazon.com. Sign up for Amazon Prime to receive free 2-day shipping on any size order! To create the signature Duck Dynasty beard and side burns, start with the designer fur swatch available in local craft stores or online at amazon.com. Cut the sheet of fur 1.75” from the bottom and then 1.75” from the side. These two pieces are the side burns. Then, with the remaining center piece, trim the edges to form a trapezoid figure in the shape of a beard. Roll the bandana as if to tie it around head, then hot glue the side burns to each side of bandana. Attach elastic to the beard shaped piece so it fits snug around head. Spray the fur with hairspray and shape it into an unkempt beard. Then, tie the bandana around head and place the beard around the face using the elastic. To complete the costume, carry a duck call, duck decoy or stuffed plush mallard duck. As additional accessories, carry a bow and arrow or binoculars. Gals, make this a couples costume by dressing up as Miss Kay.